One man killed, another poised on the edge between life and death... And it's not over yet.Adam Rutledge regrets that he missed his chance to stop the man terrorizing Beecham County, and that people close to him are suffering because of it. But Adam's torment is only beginning.No one is safe from the man in the shadows, as Adam will soon learn. But the serial killer isn't the only threat he faces. Something even darker is assaulting Adam's mind, an evil he can't begin to comprehend.Adam remains the only person who can put an end to the growing menace but, with his sanity hanging by a thread, he can't do it alone. Together he and an unlikely ally must track down the only person who may understand what the madman has in store, the only person who knows how to stop him... 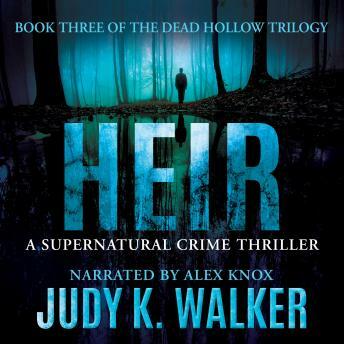 They hope.Heir is the exciting conclusion to the Dead Hollow supernatural thriller trilogy. If you like stories where the characters are as multi-layered as the plot and the paranormal is gritty rather than grandiose, then you'll love this otherworldly tale. Buy Heir to uncover Dead Hollow's most deeply hidden secrets today!